she appears to be the only person with misgivings. 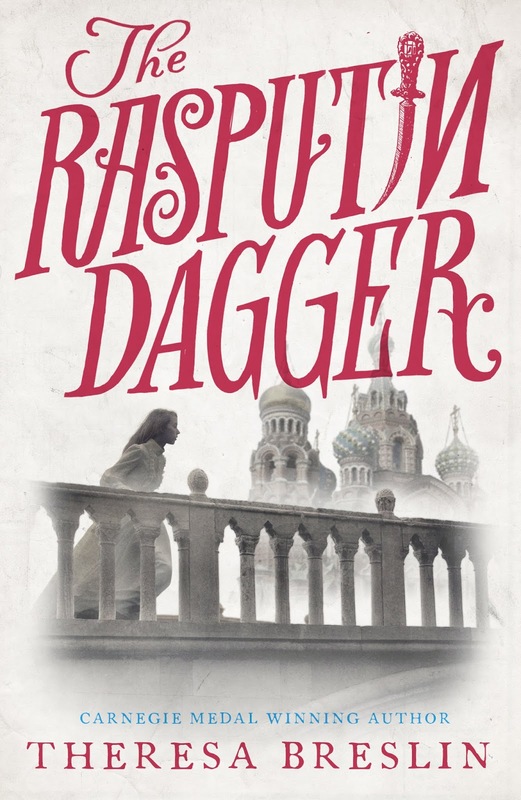 On travelling to St. Petersburg to see the egg, Assia moves among Russia’s new rich but finds herself pulled back into a family past she would rather forget. With news that a friend is missing, Assia starts to dig deeper. But does she really want the answers to the questions she is asking? I all but squealed with delight when I read the synopsis for Sophie's novel. 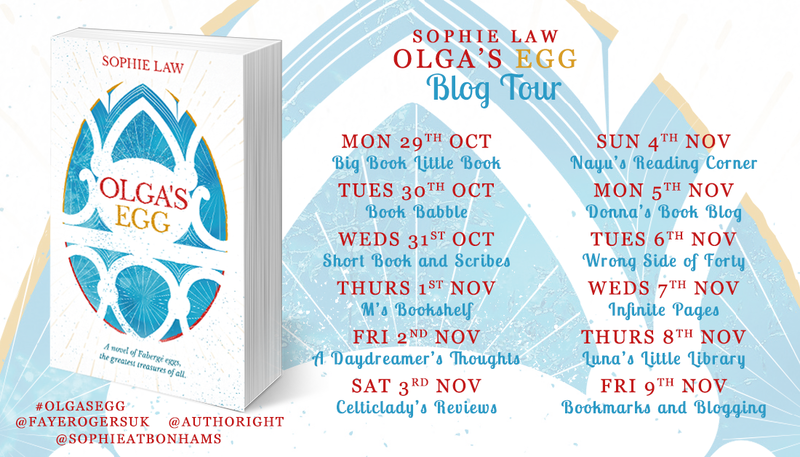 Ever since I can remember (which with a very faulty memory may have been when I was in my early teens) I've loved Faberge eggs. 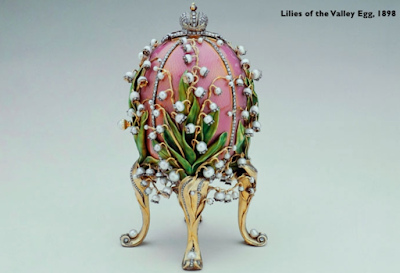 Love the dusky pink body of the egg with the delicate flowers. There's something about these stunning designs made by Faberge for the last Emperor and Empress of Russia that are eye catching. Honestly speaking they could be made of poor materials and I'd still love them: I love how enamel looks with gold and various gems including diamonds. The intricacy of some of the pieces is astounding - the eggs all had surprises, some could be found using keys, some even moved. Bright red and not pictured bright blue enamel is the most striking of the Faberge eggs in terms of colour. I like the simplicity of the hidden flower (can't remember if there's something inside the petals). 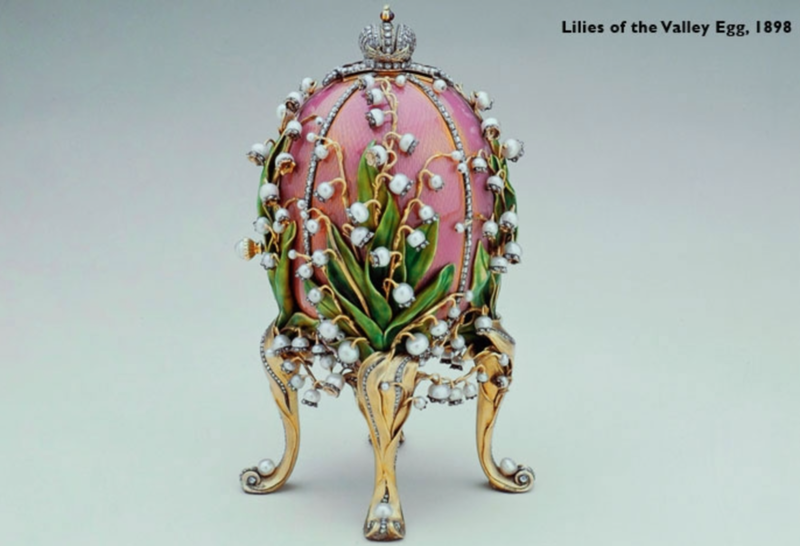 When I was younger I believed that one guy (Faberge) made the eggs (and other creations, eggs weren't the sole artwork). Now I know that Faberge had staff to help with his work, however he was still in charge and I'm assuming did a lot of the work. Imagine getting one of these as a present! 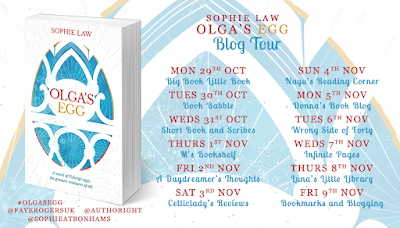 In addition to loving Faberge eggs, as a girl I loved the story of the Romonovs, the last Emperor and Empress. I liked to image that one of the princesses, Anastasia, did indeed survive the mass murder of her family which brought an end to their reign. 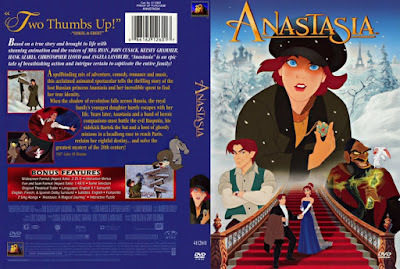 Even Disney created a story where that was true, although in the end Anastasia chooses to lead a simpler life. 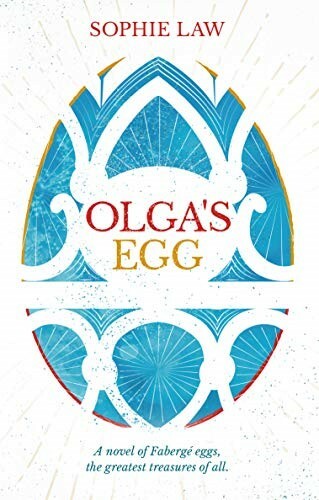 This book, as you can tell from the title, is all about Olga. Olga was one of Anastasia's older sisters, also the namesake of the protagonist's mother. Assia, named after Anastasia, is someone who I quickly wanted to cheer up. She feels to blame for the accident that killed her mother, even though it wasn't her fault. Her twin sister, Tanya, is hardly Assia's friend for most of the book, but when it counts the most she is there to help her sister. It was so frustrating when the point of view changed because all I wanted to focus on was Assia. However, I didn't skip the non-Assia sections (a bad habit of mine if the characters are male) because I knew they were important to the story. I didn't know how important until big plot twists made those switches in perspective necessary to understand the full story. There are fictional snippets about Princess Olga (although she was called a Grand Duchess more than Princess) which I lapped up, imaging the doomed teen royal writing the notes while under house arrest (well, at one point the family weren't allowed out at all). My degree was in Ancient History, so I tend to get excited over artifacts, and love characters that deal with the past like Assia does through the Faberge collection. Every meeting she went to, public or private, I felt like I was getting an insight Assia's professional life which seems so cool. The way she inspects the eggs in the book felt like the same passion that I have when seeing something that I find extra cute, pouring over it and being captivated by the object so much she forgets the world around her. Show me a pot fragment and I'm very happy! Admittedly I had expected there to be more thriller aspects from the synopsis: there was a slight hint at menace, and Assia did have a threat made, but it never really went any further than that, which is why the book didn't quite get the highest grade. 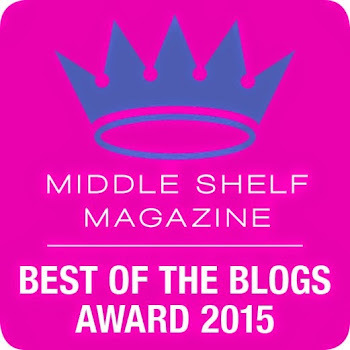 I love a good thriller, but equally I loved Assia's tale. She learnt new things about her mother, she finds a way to break through her twin's hard exterior (who faked being sisterly when out in public). Assia meets two women, one who treated her harshly then was nice and proved to be exactly what Assia needed at that moment in time to help her grief, and other was mostly nice with a harsh side that wasn't Assia's fault. Both these women stood out to me, each entwined in Assia's life through the link of Assia's mother Olga and that of the Grand Duchess Olga. Forgery in the art world is nothing new. I don't follow art that closely, but I'm aware forgeries can be really expensive. I liked the way forgery is addressed in this book, and would have liked to have seen the repercussions of the story's end played out a bit more. 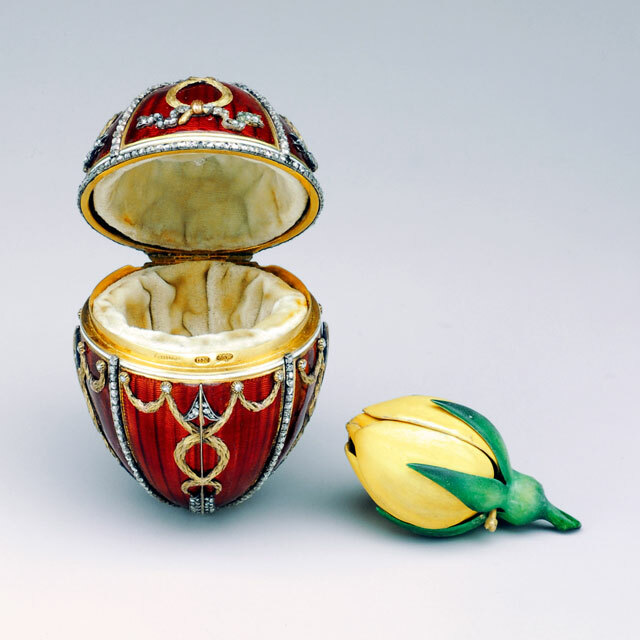 But what's most important is not the Faberge egg, but Assia's transition from refusing to forgive herself for her mother's death to returning to her Roman Catholic faith (which I find fascinating, even though I'm Muslim rather than Catholic) after meeting one of the two women I like, and making peace with herself. Her mother Olga had been determined to raise her twin girls as Russian, even though they were half-Russian because of their English father. I'm a firm believer that religion is important to life, no matter what the belief system is. I was saddened when Assia discovered a key church was closed: where I live there's an Anglican church, a Methodist church, and there used to be a Roman Catholic church which had an imposing building. I never went inside (when I was little I was Church of England Christian), but it felt so sad when it ceased functioning as a church because Roman Catholic churches have a tendency to be elaborate in decoration. Plus it meant that any Roman Catholics had to travel elsewhere, which in a way is what an acquaintance of the Grand Duchess Olga had to do when politics got troublesome. Even Assia had to travel to flee danger, something the royal Olga couldn't do. The act of some objects being hidden in others that were in plain sight but hid their secret for many years is a plot element I enjoy.